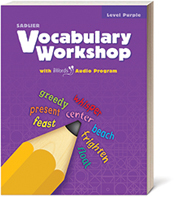 For more than 50 years, educators have named Vocabulary Workshop the most effective vocabulary program. 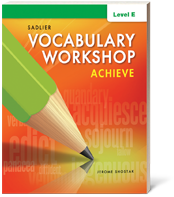 It is now available in two editions for on- and above-grade level students—Vocabulary Workshop Achieve, Grades 6–12+, and Vocabulary Workshop Enriched Edition, Grades 1–12+. 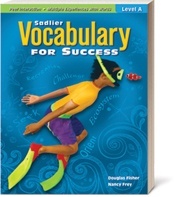 Vocabulary for Success supports students at or near grade-level proficiency. Expand students’ vocabulary knowledge by focusing on 10 words at a time. 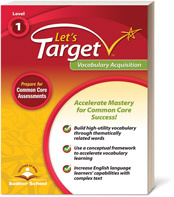 Enrich vocabulary with instruction and practice of 20 words per unit. 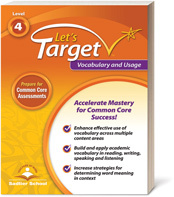 Use blended learning to build struggling students’ & ELLs’ vocabularies. Expose students to college-level vocabulary—for Honors and AP classes. There is power in language. And there is power in the instruction of every new word. But sound vocabulary instruction requires attending to the selection, context, and grouping of words. 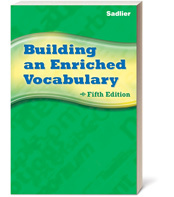 Free vocabulary resources and downloads for the classroom from Sarah Ressler Wright, aka "Vocab Gal" and former Ohio English Teacher of the Year. 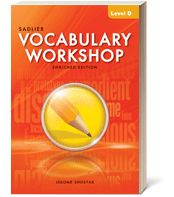 Fun and effective vocabulary lessons and activities for Grades 1–12.